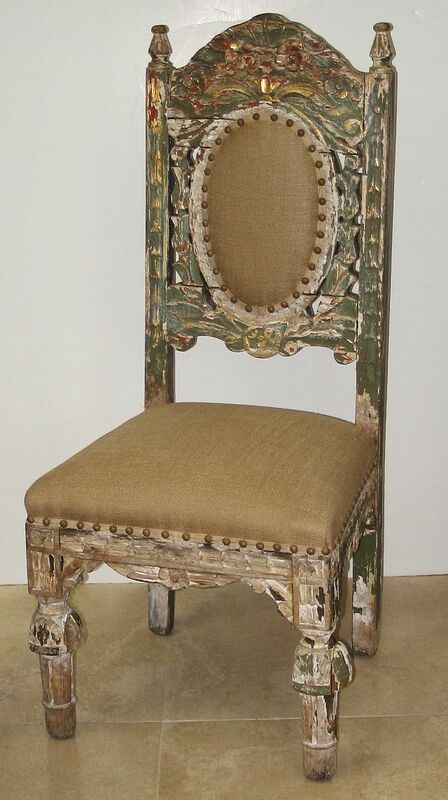 Set of four Spanish Colonial side chairs. Primitively carved hardwood frames with remnants of original gilt and paint finish. Now with linen upholstered seats and oval backs. Losses to carving and finish.